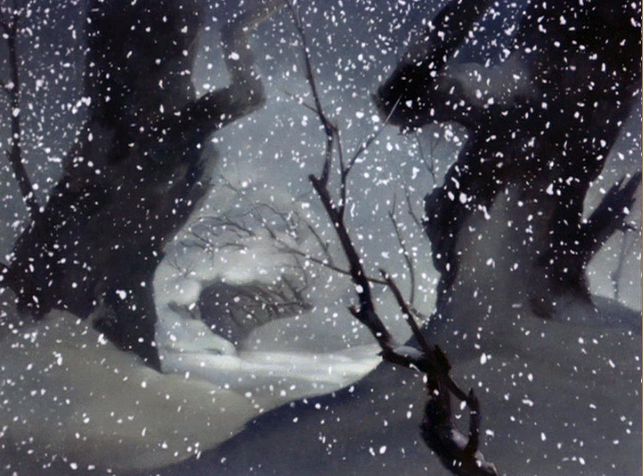 some very dramatic scenes in disney’s BAMBI happen in winter, in the snow. 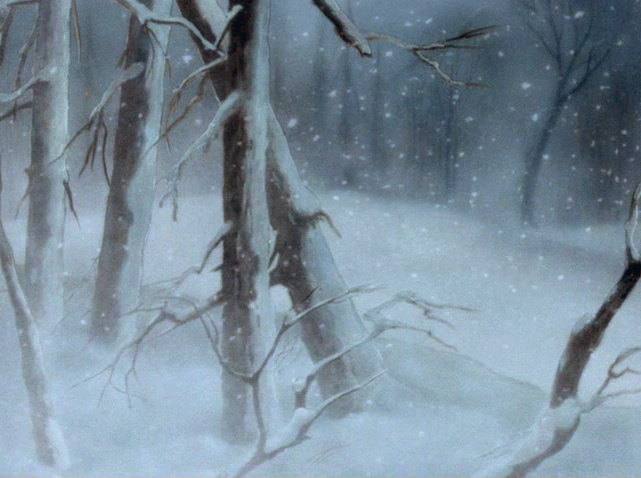 in the latest disney DVD release of BAMBI all these scenes are moody blueish, what is more a color you would use for romantic joyful scenes. I remember that the color range was very different in a few stills I had seen. 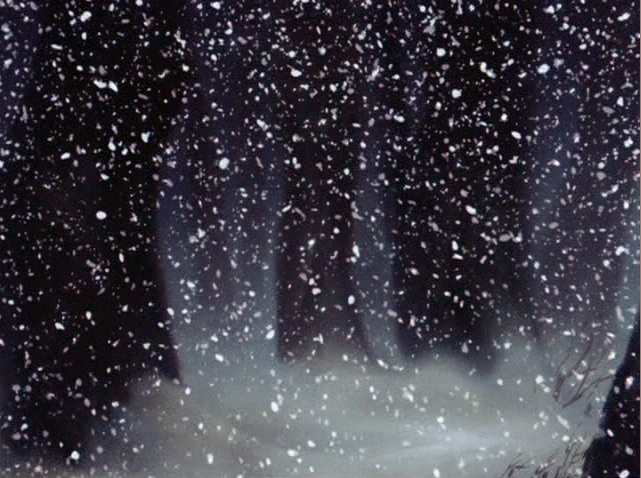 so I checked the color in every single scene in that snow sequence using the WHITE BALANCE. that means, in case the white is right, all the other colors are right as well. and the result was very different from the colors presented to us as you can see below in the recreated BG’s. I don’t know why original colors are constantly changed by the color-correction technicians, – maybe following the order of some executives – make it more colorful! when I was responsible for the color correction of the disney releases from 1996 until 2002 I had some funny experience with that. for example baloo in the JUNGLE BOOK was brown in the first VHS and laserdisk release a while back. that could not be right, since I had seen so many original cels where baloo was grey. following my advice the color correction specialist ( MITCH DRECKMAN as far as I remember ) found out that by tweaking the bear’s color to grey the jungle became much more vibrant. of course, before it looked dull olive with all that red mixed in. I did a lot of film corrections with mitch and it was a great experience. 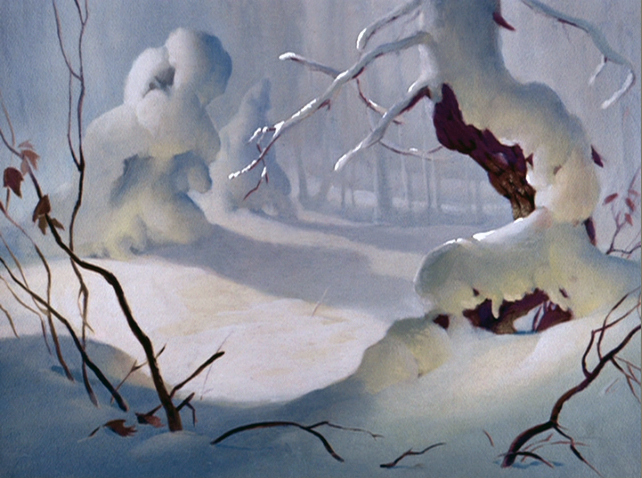 another ‘specialist’ was supposed to correct the color in RESCUERS. I nearly got blind when he showed me the first reel. he said he had added some more saturation, in his opinion the film needed that. I didn’t continue the job with him. Wow, thanks, they look much closer to what I remembered seeing in the theater long ago! But I always thought, memory had played me a trick, since the Bambi DVD was hailed as one of the more accurate restorations by some. 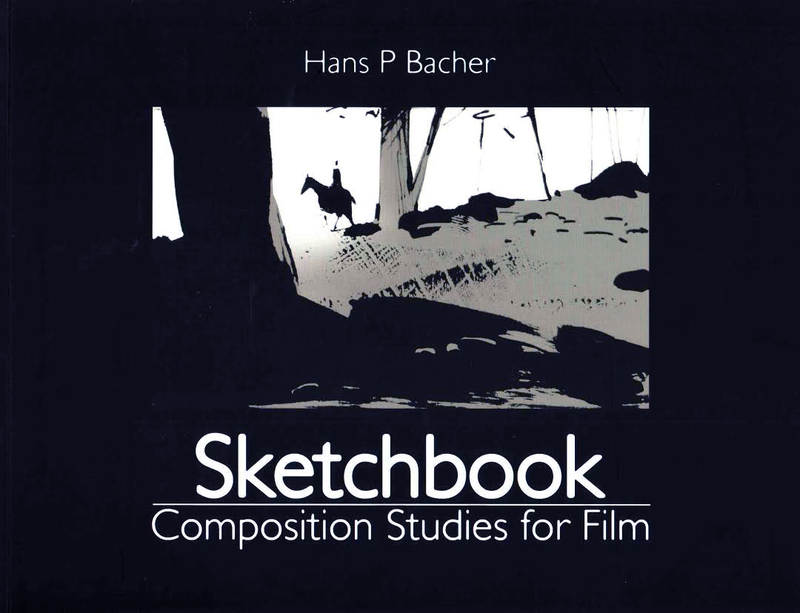 When you were responsible for color correction at Disney, how did you come up with accurate colors, were you able to shoot technicolor tests of the available original cels and backgrounds to see how their colors changed on film? of course we checked the originals especially from snow white. the problems in the first restauration test were that everything was beautiful sharp and no noise at all, but the thin lines in the characters had disappeared. that could be changed when the ARL got involved and showed the restauration guys the originals. the color correction is not that complicated, there is always in a sequence a small white element, you use that for white balance and adjust the whole leftovers according to that. the bigger problems are people they judge colors by their feelings, not following the direction the artists had planned the film to look. Folks, if you don’t know…the ARL is the “Animation Research Library” at Disney, or what we used to call the ‘morgue’. 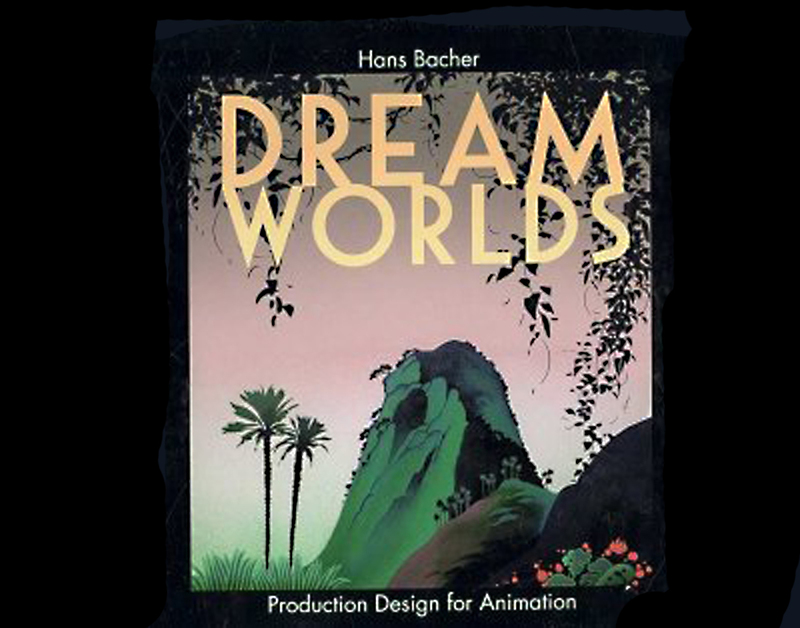 Hans, those backgrounds were painted a little ‘weirdly’ to look good in Technicolor. 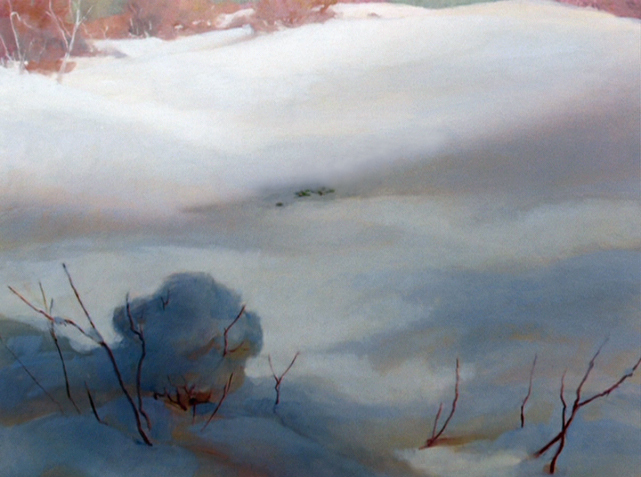 Does the white balance remain constant when they may have painted a pale blue-for-white? nancy, I am not talking about correcting the colors based on the original BG’s. the white balance adjusts to the film colors. as you know in light the basic 3 colors mixed together give you white. it is opposite of the way you mix opaque paint or print colors. 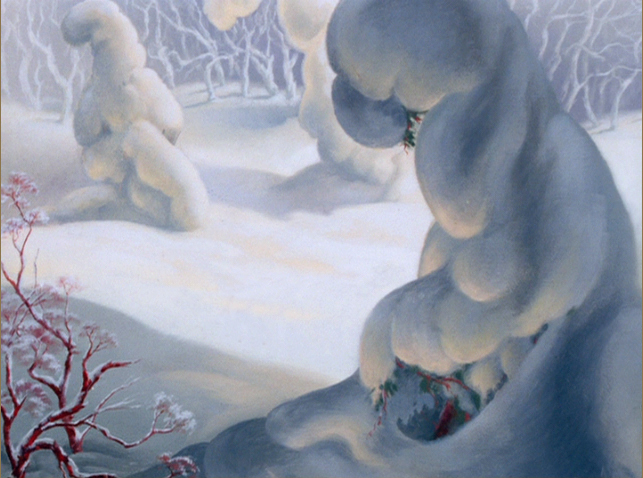 I love the hints of red in the third background (that’s where they find the fresh, green grass just before Bambi’s mother is…well, you know. And that fourth one actually made me FEEL the cold. What a gorgeous film this is. 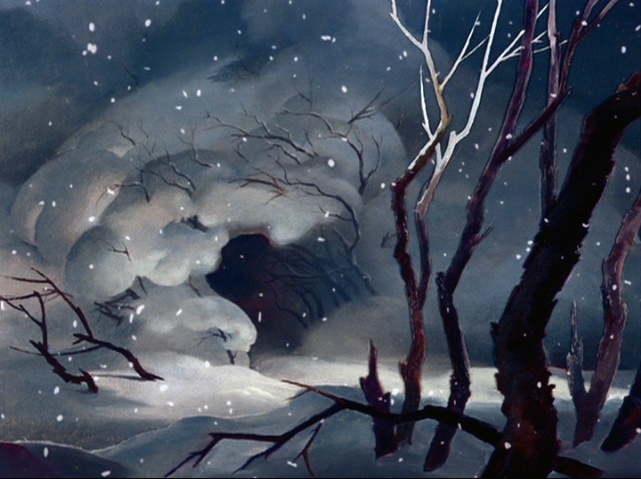 I love the snow backgrounds from Bambi. They’re so pretty. This is so gorgeous! 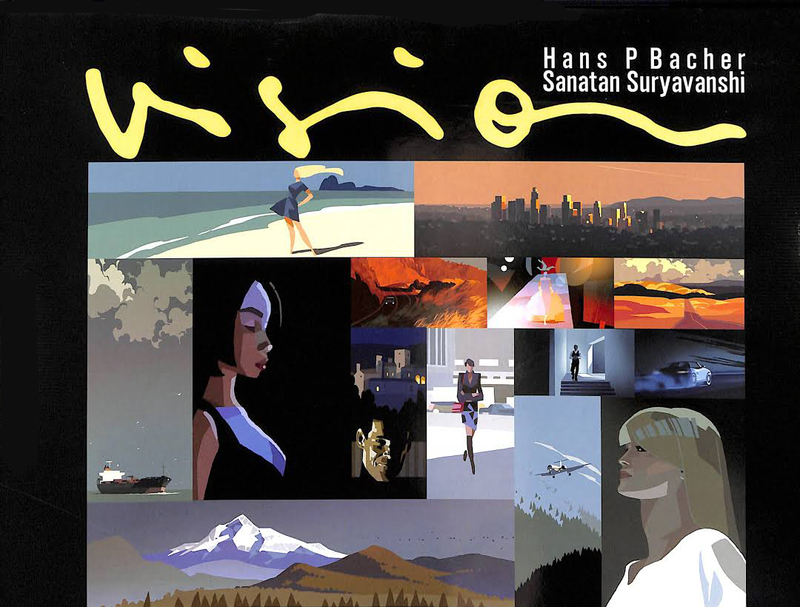 I am working on a background portfolio. Very inspiring!